For the first time since 1989, the SCCA Trans-Am series will make a stop in Minnesota at the Brainerd International Raceway. The race will be this Sunday (Sep 5th) on the new 13 turn 2.5 mile competition road course, they will race 36 laps which is 90 miles. The pre-race driver autograph session begins at 12 noon and the race itself begins at 2:45pm. 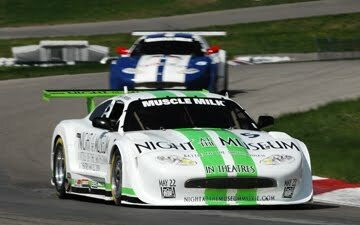 The Trans-Am series has a long and storied history that goes back 42 years, and BIR hosted some big events with some big name drivers competing. Paul Newman won his first race during a Trans-Am event at BIR back in 1982. Admission prices are $20 per day for adults and $10 for kids ages 6-12. One ticket gets you into both the road course race and the racing at the Muscle Car shootout at the drag strip as well. A big wreck on Sunday night (Aug 29) at Raceway Park in Shakopee. In the Super Late Model feature #63 Gary Petrash and #53 Tom Quade got together in corner #1. Nick Murgic ended up winning the race. 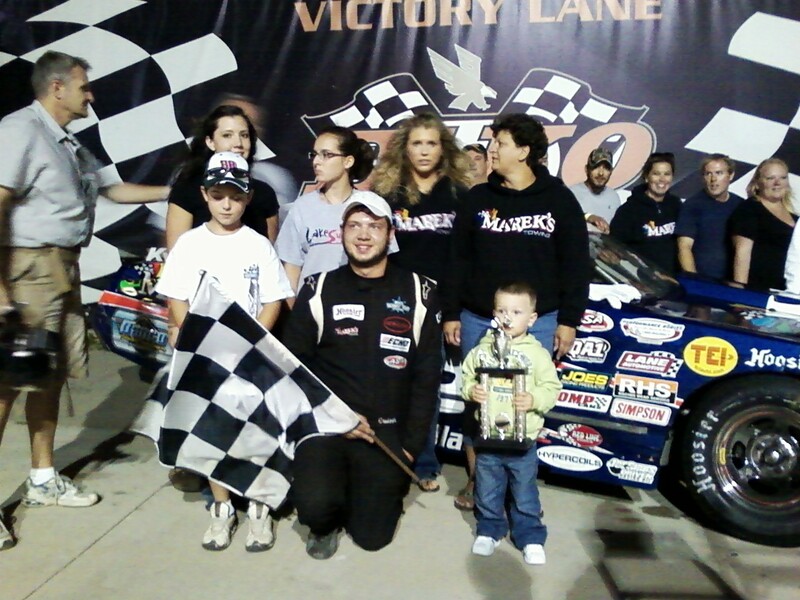 We also will play an interview with ASA Midwest Sportsman series winner Chris "cruiser" Marek. An absolutely unforgettable finish of the ASA Midwest Sportsman tour feature event at Elko (MN) Speedway on Saturday night (Aug 28). Tour point leader Chris Marek slipped past on the high side and won by mere inches at the stripe in a three way battle with Brent Kane and Jack Paulson. "It sure wasn't much, I had to look at the board to see if I actually won," said Marek. Brent Kane took the lead on lap 18 and held on until the last couple feet of the race. His momentum was slowed coming to the finish by Jay Kalbus who was about to be lapped on the track. Kalbus cut a tire and tagged the wall earlier in the race. Marek could've taken the conservative route and done some points racing after Kalbus had the early trouble, but instead he went for the win at the end. "Everyone was gunning for the win, I had to stay in it and ride the wall for it," said Marek "I've kind of struggled out here this year, so to come out and win this race is very special to me." 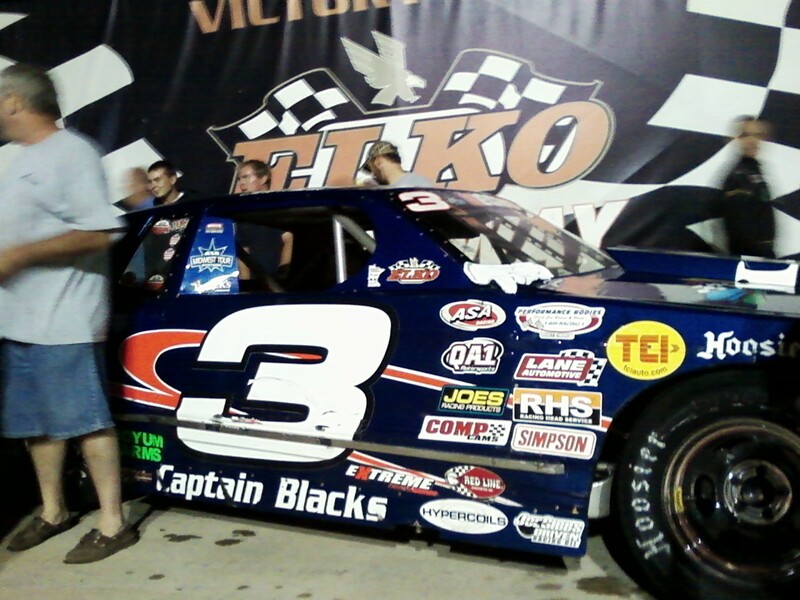 Chris Marek was the winner with Brent Kane second and Jack Paulson third, Jay Kalbus finished 13th. 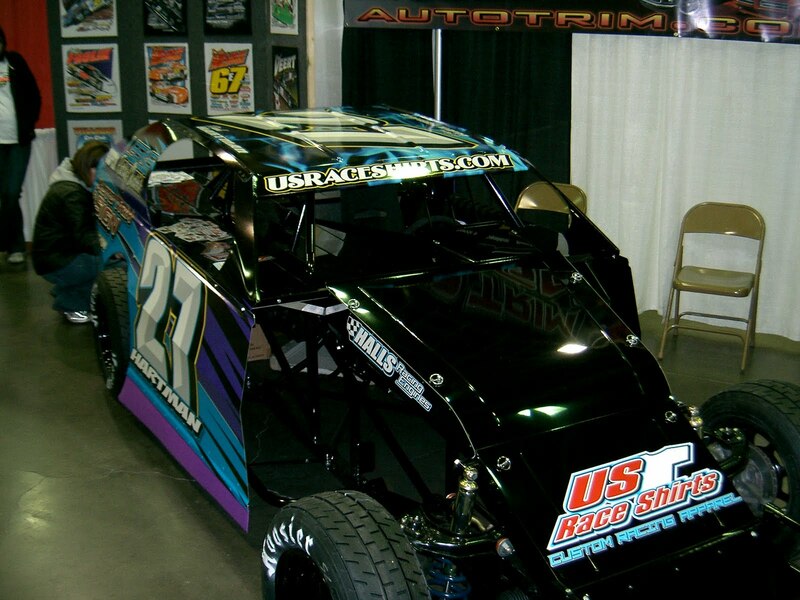 The ASA Midwest tour has just announced that they will be racing at Iowa Speedway in 2011. The ASA Midwest tour race will be Friday night (Aug 5th), the day before the second NASCAR Nationwide race at Iowa Speedway. The Tim Shendel won the ASA Midwest tour race at Iowa back in 2008 and Chris Wimmer won at Iowa Speedway back in 2009. This will be a great event for both the racers and the fans. This new 7/8th mile track is one of the best racing facilities in the United States and the ASA Midwest tour is known as a quality support series with the strongest field of drivers from top to bottom. Dont be surprised if some NASCAR series regulars also compete in the Friday night ASA Midwest tour race. 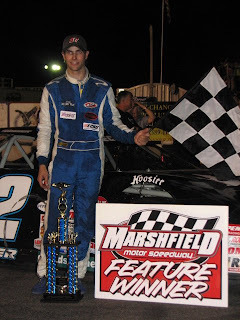 Matt Kenseth might want to race against his son Ross, Kyle Busch has run numerous ASA Midwest tour races in the past (including the 2008 Iowa Speedway race). With our favorite track and favorite series working together, you know "Speedtalk on 1360" will be covering this race in more detail than anyone else. Elko Speedway will be the site of the the ASA Midwest Sportsman tour race on Saturday night (Aug 28). This is a make-up race for the rain out event on June 26th. It will be a complete do-over for the 28 cars who entered in June, only 22 cars will qualify into the main event on Saturday night. Former "Speedtalk on 1360" guest Chris "cruiser" Marek (pictured above) is the leader by just two points over Jay Kalbus in the race for the inagural point championship. Chris Wimmer lead all 100 laps of the ASA Midwest tour event at Marshfield (WI) Speedway on Saturday night (Aug 21). Chris also took over the point lead. Wimmer now has a two point advantage over veteran driver Steve Carlson. 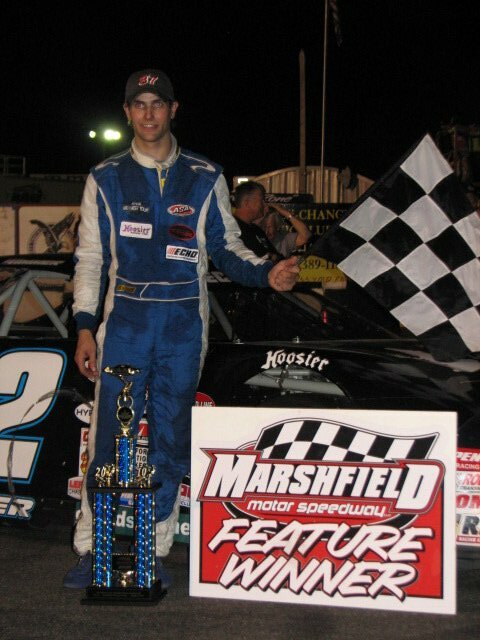 Weekend Roundup: Mark Lamoreaux won the Super Late Model feature at Raceway Park in Shakopee on Sunday night and Donny Reuvers won the Super Late Model main event at Elko Speedway on Saturday. 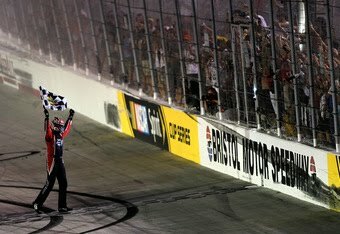 Kyle Busch wins at Bristol. Yes, three NASCAR sanctioned events in one week. This first time this ever has been done. Dean Reller chose Kyle Busch to win the Cup race, so he now has picked the winner twice, Jason Searcy has three wins and Jordan Bianchi is the leader with five correct picks so far in 2010. The 2011 NASCAR dates have been announced for Iowa Speedway. The 2010 race was a complete sell-out of 56,000 fans. 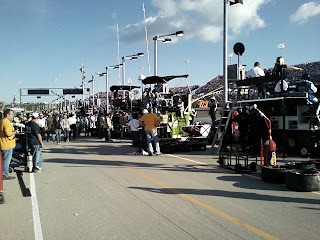 The Nationwide series will race at Iowa Speedway two times in 2011. The first race will be on Sunday afternoon (May 22nd), this is the day after the Cup All-Star race in Charlotte. I would think that some cup drivers would make the trip up to Iowa for this race. The second race will be on Pocono weekend, Saturday (Aug 6th). This will most likely be a Saturday evening race with drivers flying back and forth to Pocono. The NASCAR truck series will also return to Iowa Speedway again in 2011. This race will be during the New Hampshire weekend, Saturday (July 16th). I would think this would be an evening race at Iowa Speedway. "Speedtalk on 1360" whole-heartedly endorses this wonderful Midwestern racetrack and we plan on broadcasting LIVE from Iowa Speedway again in 2011. A very busy weekend for race fans in the upper mid-west. 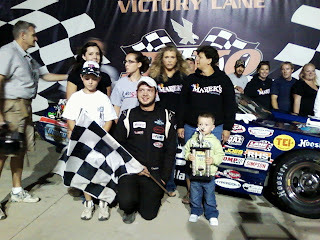 Tim Schendel wins the ASA Midwest tour Wisconsin Dells 100, its his first win of the year in that series. Reports are that Iowa Speedway will get TWO NASCAR Nationwide races in 2011. The tenative dates are May 22nd and July 23rd. The May 22nd date possibily could be a Sunday afternoon race the day after the NASCAR All-star race in Charlotte. I would assume the July 23rd race would be a Saturday evening race. This is a wild-card weekend as of right now. That could be a Pocono race weekend OR possibly an off weekend for the NASCAR cup guys. The official 2011 schedule will be announced soon. If NASCAR Sprint Cup series is off, that would be good news for the possibility that more NASCAR cup drivers could enter the July Iowa Speedway Nationwide race in 2011. I would also think some cup drivers would enter the May race considering their All-Star commitments would be over with. Stay tuned! Speedtalk on 1360 will keep you up to date on all the NASCAR action at Iowa, and we plan on doing LIVE broadcasts at both the Nationwide series races in 2011. Remember the NASCAR Nationwide race at Iowa Speedway in 2010 has been the only sold-out event so far this year in the series. If Iowa could sell out BOTH events in 2011, the next step for NASCAR would be to add Iowa to the Sprint Cup schedule in the future. Dan Plan from www.theracingconnection.com will join us with the local racing scoop. 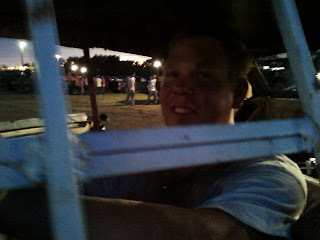 We also will have a nice quick interview with Dale Altringer, who won the Wright County Fair demo on Sunday night. The Atwater Karting Speedway will be hosting a Craig Hartman memorial race on Friday (Aug 20th) at 7pm. 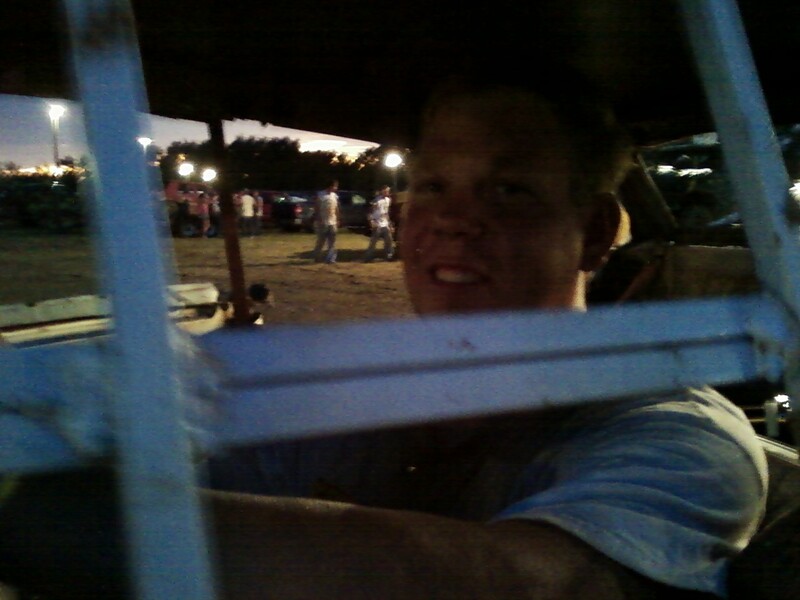 Craig was killed in a tragic car accident last January, he was a founding board member of the Atwater Karting Speedway. Both Dean and Jason knew Craig and his son Paul very well. Paul raced for years at I-94 Raceway in the Legends division, he now races a mod-4 car at KRA in Willmar. 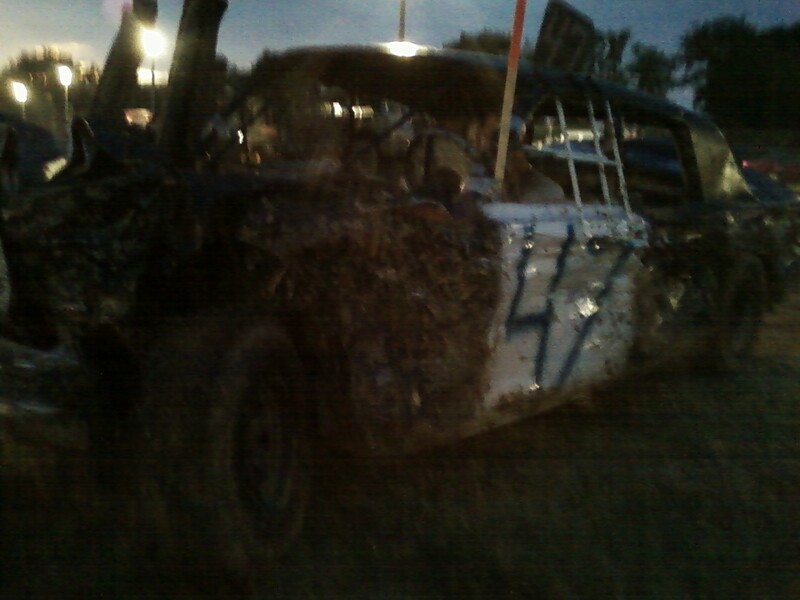 Here are the results from the 42nd annual Wright County Fair Demo derby. Dale Altringer (pictured above) won the Main Event and took home $1,100 in prize money, his god-son Scott finished second. George Karels Jr was taken off in an ambulance after being extracted from the demo-car with the "jaws of life." Joey Karels won in the Mid-size cars, Danny Kahout in the Mini-vans, George Karls Jr won the compact truck division and Jim Riebe took home the trophy in the full-size truck class. On Friday night Holly Karels won the main event with Jason Uecker winning the compact class and Dale Altringer victorious in the Mid-size division. "Speedtalk on 1360" was LIVE at the Wright County fair in Howard Lake (MN) on Saturday August 7th. Even though it rained most of the morning, Erik Cleasby brought out his awesome Hornet racecar that he races at Princeton Speedway on Friday nights. 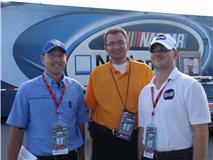 We played back our interviews from the Nationwide race Iowa Speedway last weekend. Trevor Bayne, Reed Sorenson and Kyle Busch all gave us their thoughts. We were happy to have local race historian Tim Sebo join us for the local segement of the show. Thanks to everyone who braved the rain to see us at the fair. See you next year! "Speedtalk on 1360" will be broadcasting LIVE from the Wright County Fair in Howard Lake (MN) on Saturday Aug 7th from 10-11am. 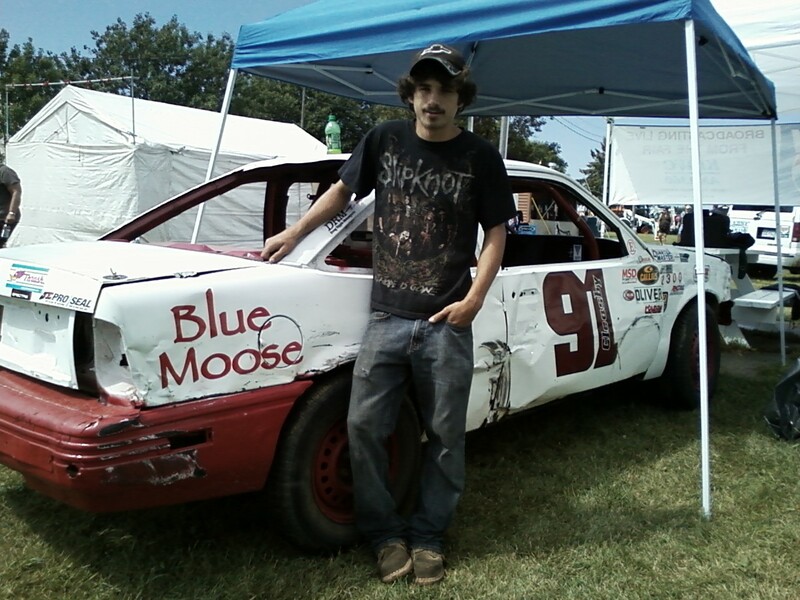 Jason and Dean will be joined by Erik Cleasby (pictured above) from Buffalo and his car will be on display. Erik is currently in second place in the 4cyl divison at Princeton Speedway. 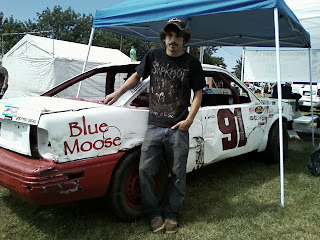 We also will talk about the highly popular Demo Derby with organizer Gary Fieldseth. Last weekend Jason interviewed NASCAR Nationwide series stars Trevor Bayne and Reed Sorenson, we will replay those interviews from Iowa Speedway. Along with some comments from Iowa winner Kyle Busch. Everyone is invited to stop by and register for RACEWAY PARK tickets to be given away at 11am, you must register at the fair to win! Look for the big blue KRWC "roadshow bus," we are near the middle of the fairgrounds, near the fair office. The interview turned out great, despite my "garage plan" miscalculation. 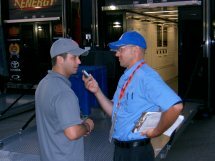 You can hear both the Reed Sorenson and Trevor Bayne interviews this Saturday (Aug 7th) 10-11am during "Speedtalk on 1360" on KRWC radio and http://www.krwc1360.com/ We also have audio from the press conference with winner Kyle Busch. We will be LIVE at the Wright county fair. We will also interview demo derby organizer Gary Fieldseth and Raceway Park driver Josh Vieau from Buffalo, who will also have his car on display. Jason, Dean and Jordan from "Speedtalk on 1360" did the radio show from Iowa Speedway and spent a very hot and sunny day at the race track. Kyle Busch won the U.S. Cellular 250 NASCAR Nationwide race in front of a sold-out crowd of 55,988 fans at Iowa Speedway on Saturday night (July 31st). Its his ninth win in just seventeen Nationwide series starts in 2010. Despite having no practice in his car Busch qualified second quick behind Trevor Bayne and lead much of the race. When a caution came out with 46 laps remaining, Busch took four tires and came out of the pits seventh. On the restart he worked the high side and took back the top spot with twenty four laps to go and extended his lead at the finish. Reed Sorenson had a bad wreck early in the race as he blew a tire and smacked the wall hard. Jason got an interview with Reed that will be broadcast on "Speedtalk on 1360" next Saturday. Jason also had the opportunity to interview Trevor Bayne after the race, Trevor won the pole and lead many laps during the race, eventully finishing fifth at Iowa.